The rumor train for Samsung's upcoming flagship phone is now running on full steam, and some of its cargo (or lack thereof) might not be warmly welcomed by many when it finally pulls into the station. Here are some notable potential omissions on the new Galaxy S8. With the growing assumption that the S8 will feature a curved display with an aspect ratio of around 90%, many are predicting that the home button will be omitted to account for the increased area of the screen relative to the handset's overall size. Many fans will surely bemoan this change. I, for one, loved the added redundancy of an analog home button. On my Galaxy S6, a physical button makes it easy to go back to the home screen, wake the phone from its slumber, and access the camera, all with one or two simple presses. When switching between iOS and Galaxy S devices regularly, the added value of the physical home button shines in the form of muscle memory. As different as iOS and TouchWiz are, they share that one feature, and it's a great starting point. I really believe that one of the contributing factors to Samsung's success with its flagship line was its humble little home button. The likely discontinuation of a flat screen model starting with the S8 is another casualty of the curved display and varying sizes speculation. Starting with the S6 and continuing with the S7, Samsung offered two variants of their flagship handset. Enter the "standard" flat screen S6/S7 and the "curved" S6/S7 Edge. 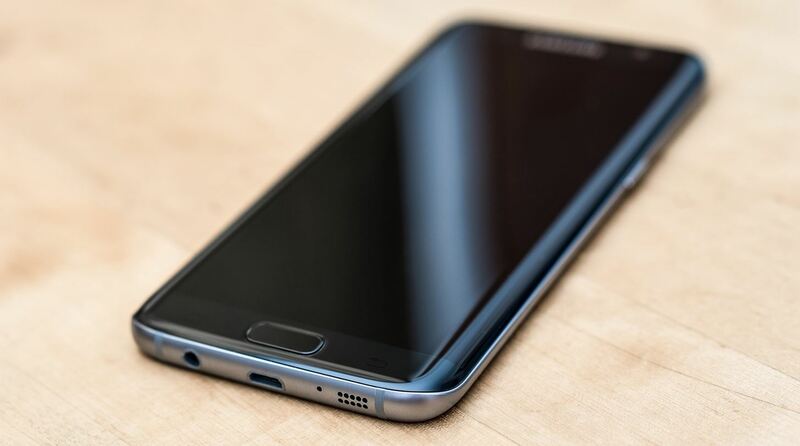 The standard S6/S7 was a great option for people who wanted a more traditional screen and had no use for the features the S6/S7 Edge variants offered. Another great selling point was its price. Although the standard S6/S7 was on average $100 cheaper than its curved counterpart, its specs were nearly identical. The potential removal of the physical audio jack on the S8 will undoubtedly ruffle feathers. We saw this negative reaction when Apple "courageously" released the iPhone 7 without one. Motorola has also taken this approach with their Android-based Moto Z. With the loss of the headphone jack, people will have to buy dongles to use their analog headphones with USB Type-C—one more thing to carry and potentially break or lose. Consumers will also have the option of buying headphones with USB Type-C specific plugs, but that means the end of cross-compatibility with, say, your laptop. Many households have members using different devices. Take mine for instance: I'm currently using an Android device, but my wife and five-year old are Apple devotees. We really appreciated the convenience of being able to share the same headphones and audio cables, no matter the handset or tablet. Please keep in mind that everything coming out regarding Samsung's upcoming handsets are just speculation, and very little has yet been confirmed. Samsung may very well make last minute changes and surprise us. We will keep you updated as more concrete news surface in the coming weeks.